These two buildings form the second stage of the Imperial West construction programme, following on from the four blocks of student housing, constructed in 2011/12. Building C will be the main ‘academic’ building, scheduled to include 23,000 sq. metres of ‘office, research, education and and computation space’. It is not yet clear how much teaching will take place at the Imperial West campus, or what student numbers there will be on the site. Building D (see image above) is to be a part 6 and part 12 storey office building, part to be leased on the open market and part as ‘incubator office space’ for start up businesses ‘emanating from Imperial College research’. It is understood that this building will provide additional office space for Imperial Innovation. This is a Plc launched by Imperial College a decade ago, which invests in bio-medical and technology companies, including many with connections to the academic work of the College. Imperial Innovations describe themselves as follows: We are a technology commercialisation company, combining the activities of technology transfer, intellectual property licensing and protection, company incubation and investment. We are focused on the commercialisation of the most promising opportunities from a broad range of technology sectors, with particular expertise in therapeutics, medtech, engineering & materials and ICT. The proposed cycle pedestrian underpass between Imperial West and Latimer Road, first promised as major community benefit in 2013, has now been rescheduled for construction no earlier than 2017. This is despite planning applications being submitted to RB Kensington and Chelsea and LB Hammersmith and Fulham a year ago. The project, which involves a £4m contribution from Imperial as part of the S106 Agreement with Hammersmith and Fulham Council, appears to have got bogged down in negotiations between the College, the two Boroughs, and Network Rail. Meanwhile businesses in Latimer Road, and local residents who saw this as one of the few benefits to come out of the development, are having to wait. 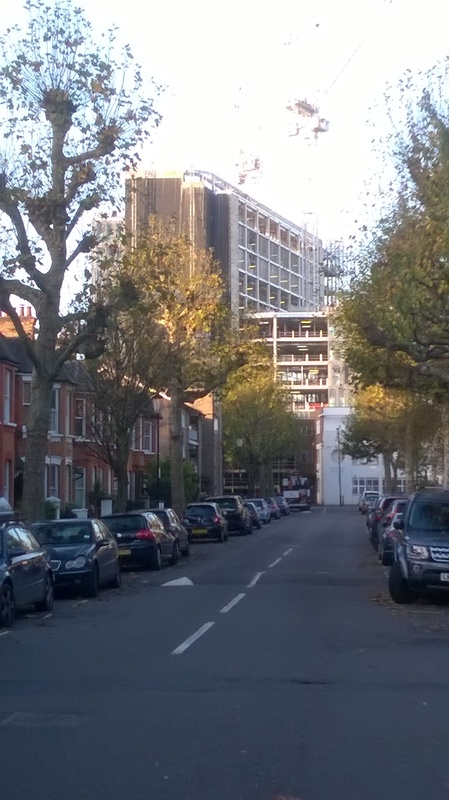 The new planning policies for Latimer Road included within the St Quintin and Woodlands Neighbourhood Plan (see at www.stqw.org) should help to give a boost to the street. But the underpass is also badly needed to increase footfall and public transport accessibility for the southern half of the street. Meanwhile the proposed 35 storey residential tower (Building F at Imperial West) has its planning permission in place but construction work has yet to start. The financial viability of this part of the development must be a constant source of some anxiety to the College and its development partner Voreda. While property prices in Hammersmith were rising sharply a few years back, they are flat or dropping slightly at the moment. The market for apartments in London tower blocks has taken a hit from the reduced number of overseas buyers (from China and Russia in particular). The market flats at Imperial will have competition from the Stanhope scheme at the Television Centre and the St James development north of Westfield 2. Cargiant is likely to be submitting an application for a development of 9,000 new homes on their site to the north along Scrubs Lane. In terms of location, Imperial West cannot offer the attractions of a canalside setting and the open views of Wormwood Scrubs. Nor the historic architecture and cachet of the BBC Television Centre (to which the BBC will be returning to occupy Studios 1, 2 and 3. Nor is it on the doorstep of Westfield and the Central Line, as the St James development will be. Imperial’s residential tower will offer fine views of traffic on Westway, and levels of air pollution amongst the highest in the capital. Entrance to the tower will be at one of the less salubrious spots along Wood Lane. It is not going to be seen as the most desirable of a glut of similar buildings in London’s planning and construction pipeline. Changes in the housing market, resulting from the Governments’s efforts to reduce the attractions of Buy to Let may also have an impact. Following the Chancellor’s Autumn Statement, estate agents Mountgrange Heritage have been assessing the effect of the proposed 3% additional stamp duty on second homes and Buy to Let. They comment: Locally it is not going to help new build schemes in say Wood Lane. Private investor purchasers are the back bone of these developments. We suspect the government is confident the boost in the help-to-buy scheme will take up the slack but we’re not so sure, it doesn’t do to turn away big investors. Folly or not? Only time will tell.